When would you like to stay at Avantgarde Hotel Taksim - Check Availability & Room Rates!!! 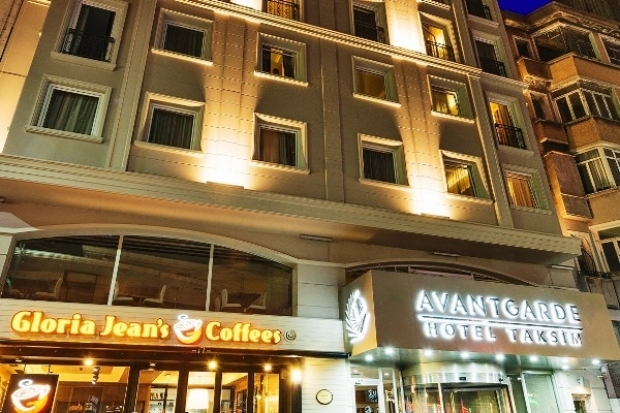 Avantgarde Hotel is specially business and special events hotel located at the heart of Istanbul. Avantgarde Hotel has SPA where you can indulge yourself. 1000 m2 top – notch Day Spa; swimming pool , 2 saunas, 2 stream rooms, 2 Turkish baths, fitness center, Pilates / yoga studio, coiffeur, 5 therapy rooms containing special turkish Bath, relaxation room, jacuzzi. How far and How long will it take from/to the Avantgarde Hotel Taksim Istanbul from/to International Airports and cruise Ports.